It's already day three of London Fashion week and the snippets that I have seen so far have been beautiful. 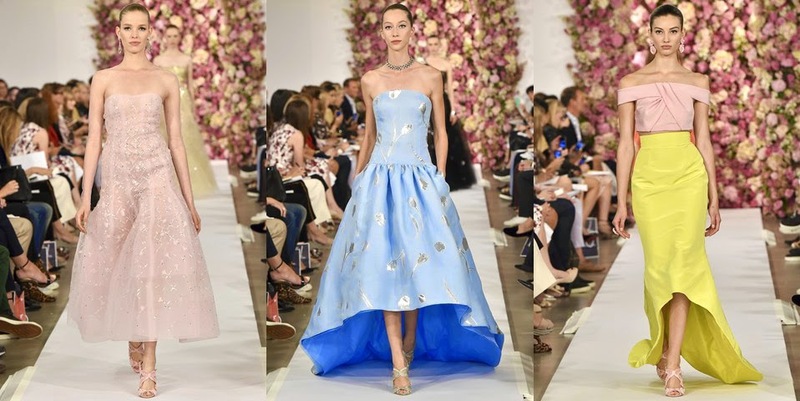 These dresses are the creme de la creme of ready to wear at London Fashion Week this season, however, it is these three dresses that I can see myself wearing next season for the various weddings I have to attend. My obsession with lace has still not faltered and I do love a good skater dress. These three are all perfect picks for a wedding guest outfit too. As next May I will be officially signing my friends wedding certificate as a witness, I want to make sure that my dress is perfect and that I don't clash with the wedding theme (which is pink, grey and white). 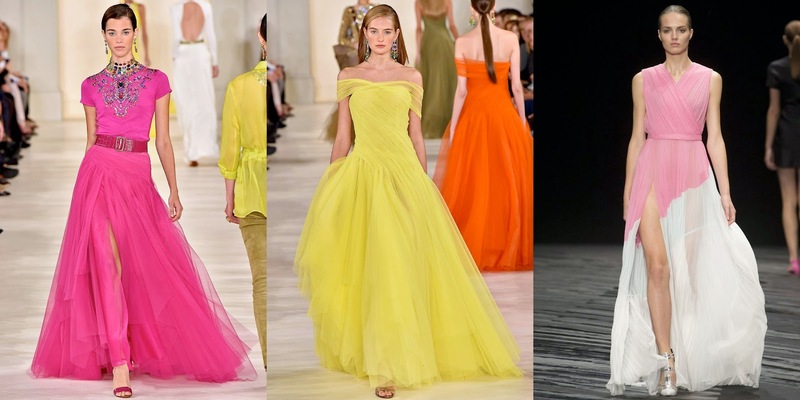 Any of the three above would be perfect, however, dress number one would need to be in a different colour, so as not to upstage the bride and break the cardinal rule of weddings. Tomorrow I will be busting a gut to try and find out where the Burberry show is too, so that I can get some street style snaps there as well as Somerset house, where all the trend setters will no doubt be circling.